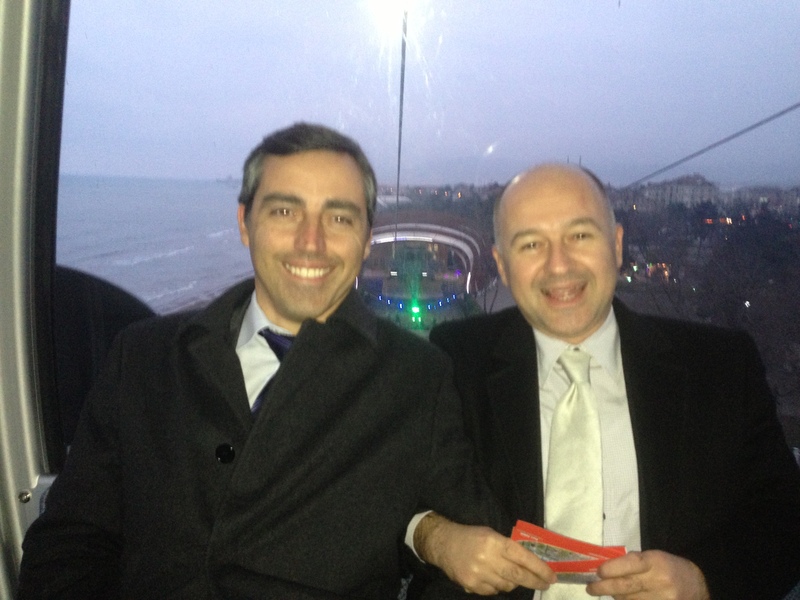 Paulo Andrez, the President of EBAN, and I were in the city of Giresun, Turkey on the 7th of January to make the opening speeches of the Eastern Black Sea Regional Summit of Angel Investment, co-organised with TBAA – Business Angels Association of Turkey and the Turkish government’s Eastern Black Sea Regional Development Administration. Mayors, Chamber of Commerce Presidents, University Rectors, SME Development Agency Directors and entrepreneurs were all among the participants of the summit. The summit was a great success with a participation of over 500 delegates from Artvin, Rize, Trabzon, Giresun, Ordu, Gumushane, Giresun and Samsun. 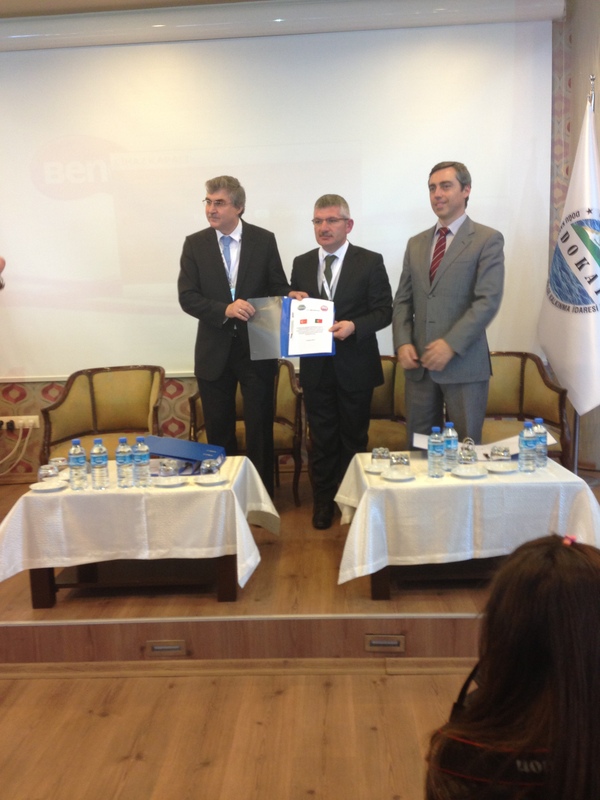 Giresun had officially supported EBAN’s 11th Winter Summit held last year in Istanbul. Giresun’s Governor, Mr Dursun Ali Sahin, had given a very notable keynote speech about the entrepreneurship ecosystem of Giresun at the gala dinner of the summit in Istanbul. By the way, Giresun, the largest producer of hazelnuts in the world, accounts for 75% of global production by itself. Giresun is also the main region for cherries. Cherry seeds were imported to Japan from Giresun and then cherries became a globally known fruit. Giresun Airport is being built on the Black Sea, the second over-sea airport in the world after Osaka Airport. Giresun was known to the ancient Greeks as Choerades or Pharnacia and later as Kerasous or Cerasus (from Greek Kerason < Kerasounta <Keras, meaning “horn” (for peninsula) + “ounta”, a toponomycal suffix. Giresun was named Pharnacia Pharnaces I of Pontus after he captured the city in 183 BC, and it was called by that name as late as the second century AD. According to A.H.M. Jones, the city officially reverted to its original name in AD 64. The English word cherry, French cerise, Spanish cereza, and Southern Italian dialect cerasa (standard Italian ciliegia) all come from Classical Greek”cherry tree”, which has been identified with Cerasus. According to Pliny, the cherry was first exported from Cerasus to Europe in Roman times by Lucullus. Paulo arrived from Lisbon on the evening of the 5th of January and l took him from the Istanbul airport and moved to the WOW Hotel for the night. 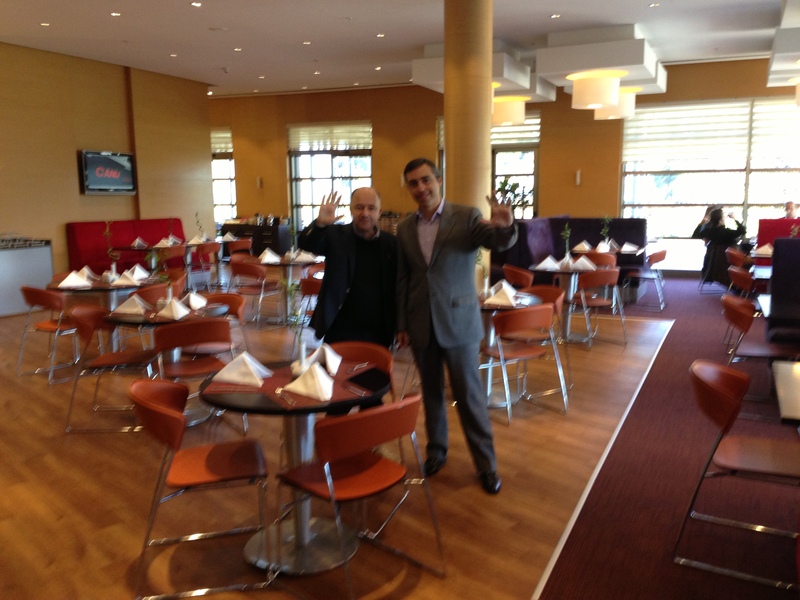 The next morning we were at the Business Class Lounge of the Istanbul airport waiting for our flight to Trabzon. 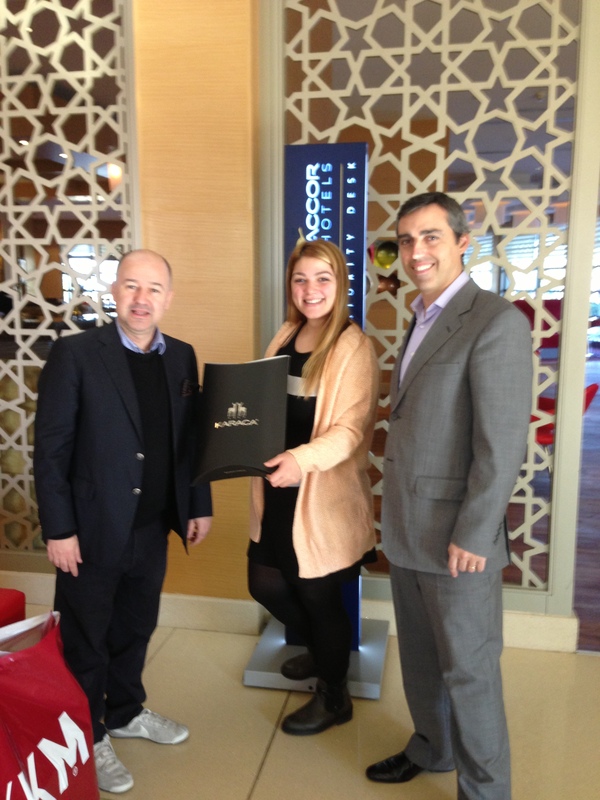 The WOW Hotel is just 3 minutes from the Istanbul airport. I left Paulo alone for a few hours at the lounge because l had a meeting with the representatives of TAV Airport Management Company based at the Istanbul airport. Following my meeting l came back to CIP Lounge where l had left Paulo. Because Giresun doesn’t have an airport yet, we flew to Trabzon, which is the nearest airport to Giresun. We departed from Istanbul at 10.50 and arrived Trabzon Airport at 12.30. 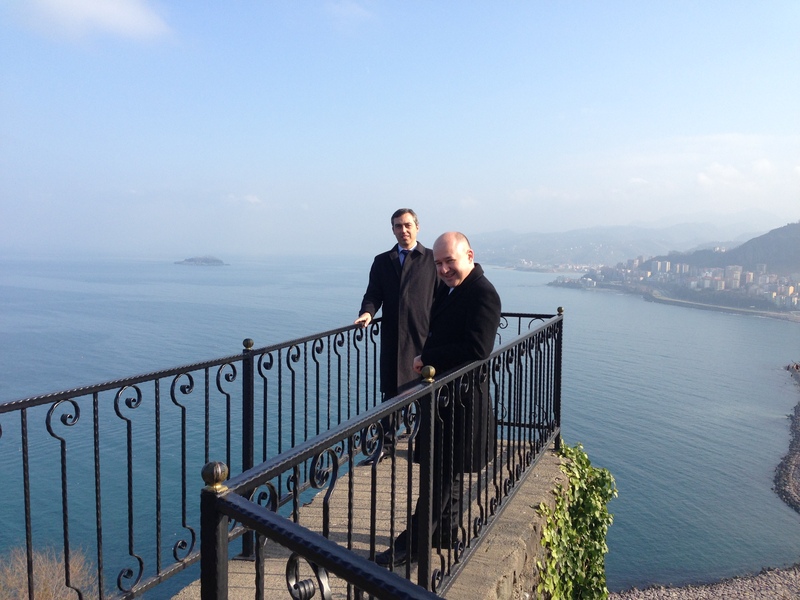 After a 2-hour drive, we were in Giresun. The road from Trabzon to Giresun follows the coastline and it was really a nice trip, watching the Black Sea all the way to Giresun. Before the investment forum, l gave a speech on entrepreneurship. 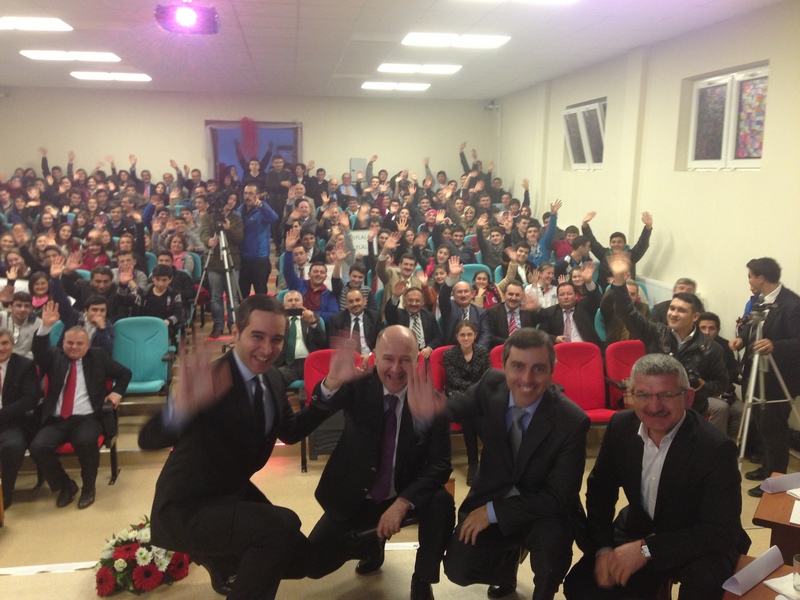 After that, we listened to the pitchings of entrepreneurs, all of whom made their pitchings in Turkish. But Paulo could understand what they meant and made his comments in English. That was very good proof that entrepreneurs and angel investors have the common sense to understand each even though they speak different languages. The winner of the investment forum was Gulcemen Karadeniz’s Incubation Centre Project, which will become the first incubation centre for start-ups in the region. She received her award from KOSGEB, the SMEs Development Department of the government with a seed funding of 10,000 EURO to start-up the project. 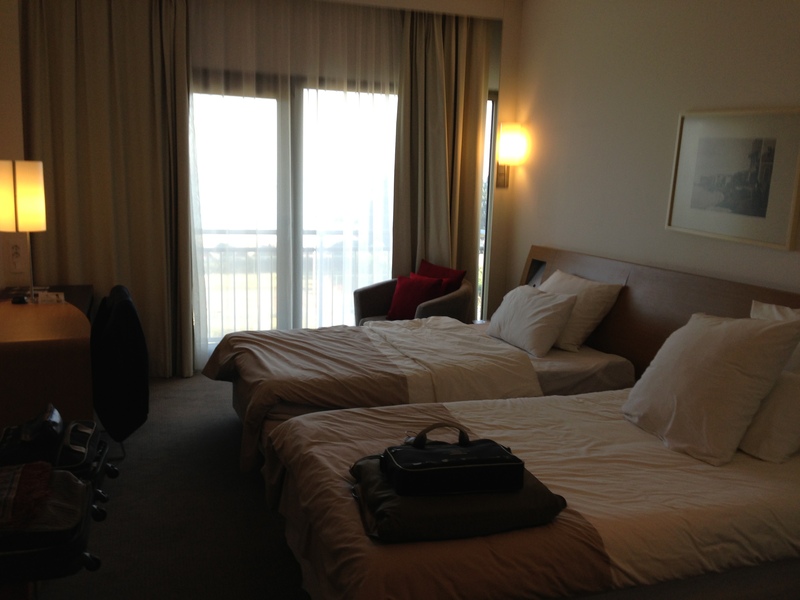 Then we moved to our hotel to leave our belongings in our rooms before dinner. 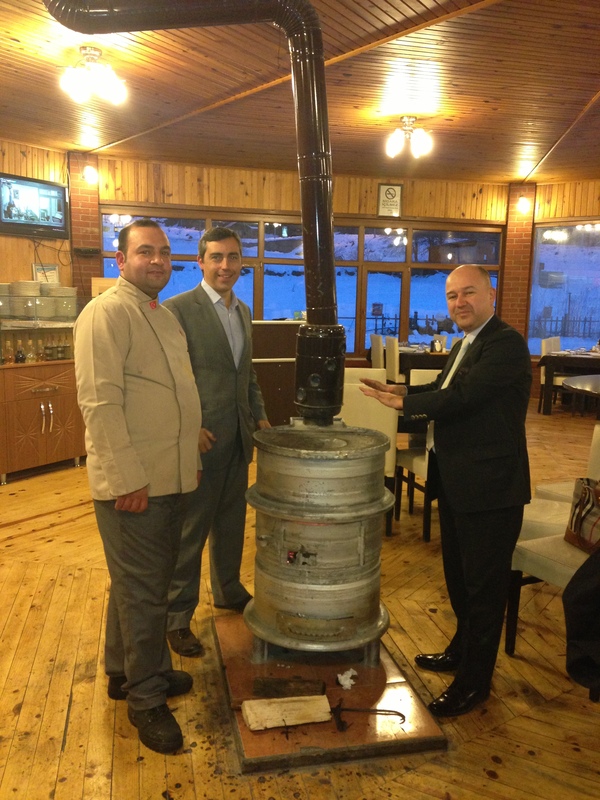 The new Jasmin Hotel was a very nice hotel on the beach of Giresun. 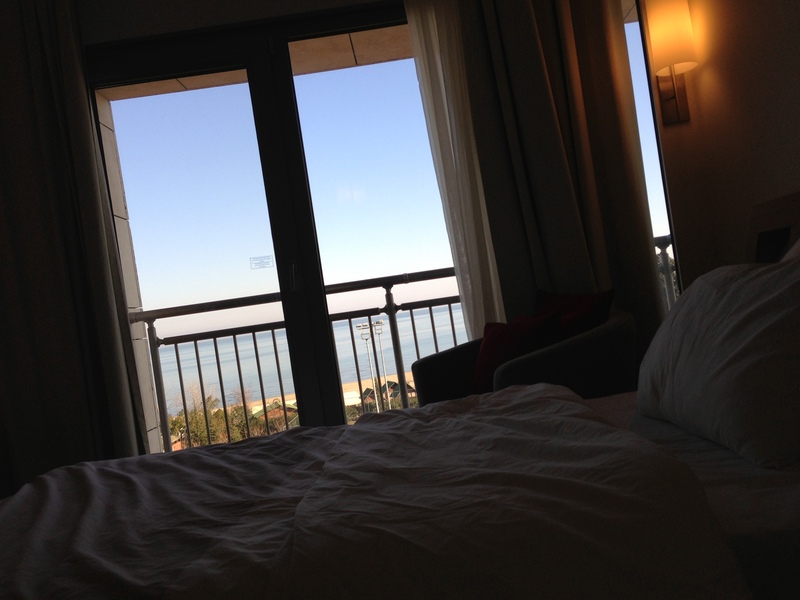 Every room had an excellent view of the Black Sea. Our dinner in the first night was at a local restaurant, with local fish and vegetables. The local cuisine of the Black Sea region concentrated on fish and vegetables and fruits. We all talked about Portuguese football players who played for Turkish teams. After a long day, we were back at hour hotel at 23.30 and went to our own rooms after a little debate at the bar of the hotel. Following our breakfast at the hotel, we moved to Bulancak Municipality to thank to the Mayor of Bulancak, who was the main sponsor of the summit. 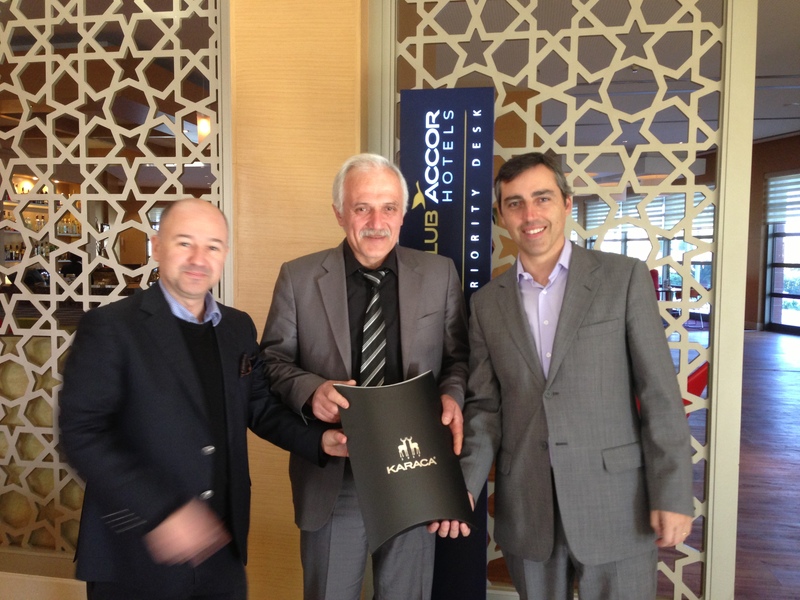 Mr Kadir Aydin welcomed us in his room, where we were presented a special authentic Giresun Turkish coffee set. Following our official visit and expressing our thanks, we all moved together to the summit centre. The summit was organised by the Turkish government’s DOKAP –the Eastern Black Sea Regional Development Administration in cooperation with TBAA – Business Angels Association of Turkey. Turkey has 4 development administrations chaired by the Prime Minister and each has a President. DOKAP’s coverage areas are the following 8 of Turkey’s 81 cities, with a total combined population of 10 million. 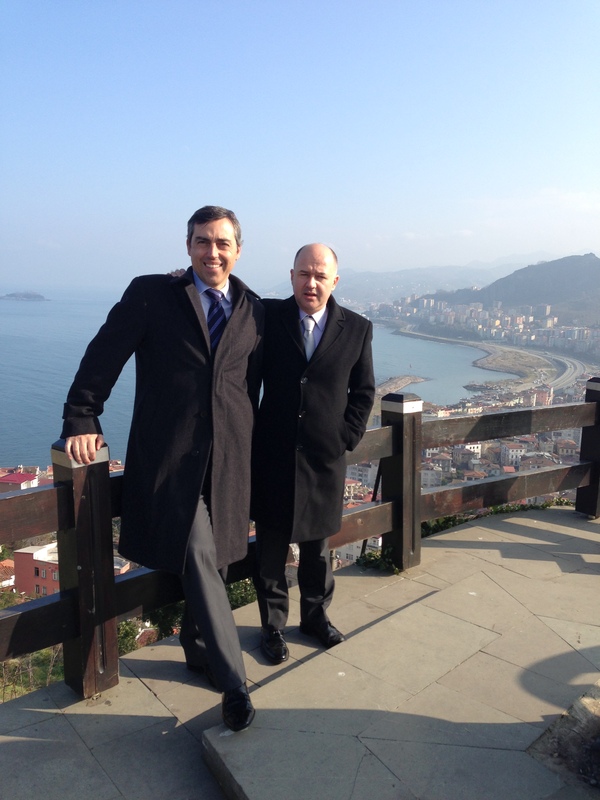 Because DOKAP’s headquarter is in Giresun, the summit was held there. 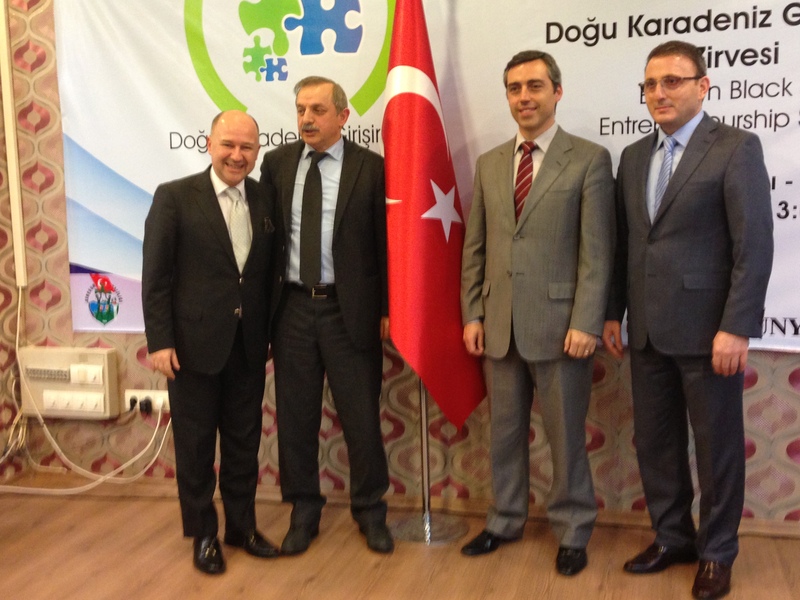 EBAN President, TBAA President, Moderators and Panel Speakers were awarded by DOKAP. 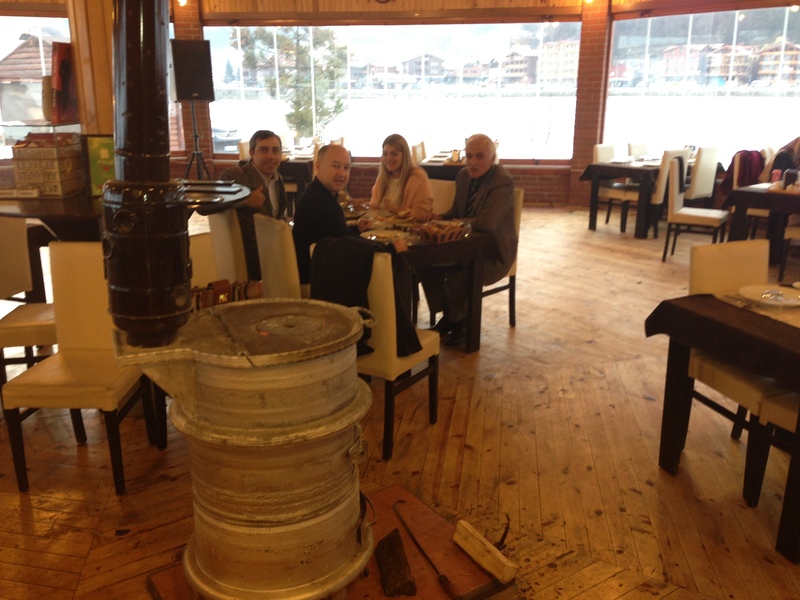 Gala Dinner was at a very nice restaurant with a participation of 100 delegates. We could find an opportunity to know the regional ecosystem better. The Director of Education, the Director of the Police Force, the Director of the Health Department, the Director of the Tax Office were all among the guests at the gala dinner. The dinner started with the speech of the DOKAP President and ended with the speech of the EBAN President. Each visit was approximately 30 minutes and in each visit we had to drink tea and eat hazelnuts. It is a tradition in Turkey to drink tea or Turkish coffee when you visit someone. By the way, I’d like to give you a tip: Pay attention to the order of the highest ranked official when the secretary asks ‘What would you like to drink’. If this highest ranked official orders tea, then it is expected you will order tea also. If he orders coffee, then you are expected to order coffee also. But, because Paulo didn’t know this rule, he ordered anything he liked without matching it with DOKAP President’s orders. It was my mistake not to alert Paulo about this tradition. 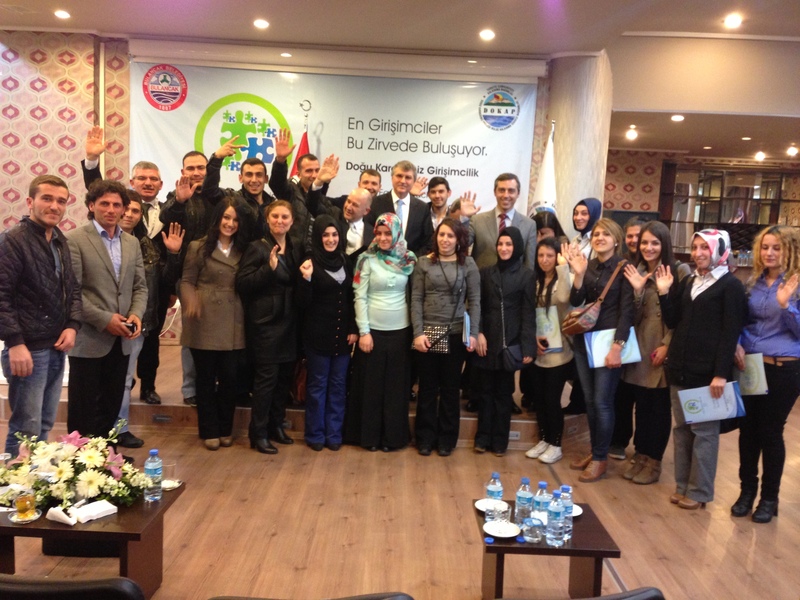 Then we visited the European Union’s Giresun Centre, where farming loans and development programmes are organised. 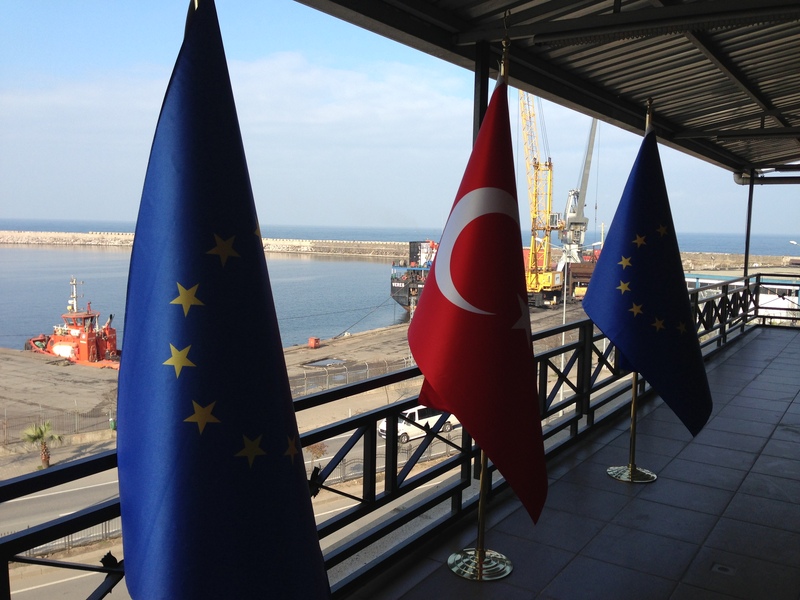 The European Union makes loan to farmers in the Black Sea Region. The annual limit on loans is 10 million EURO. 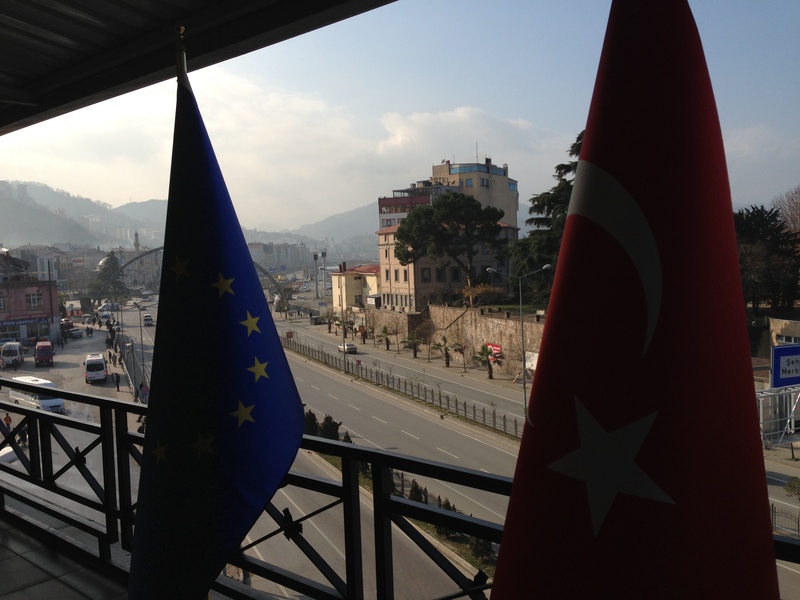 Following our visit to the EU Office, we visited the Giresun Castle. It is at the highest point of the peninsula that divides the city. The castle is reached via a 500-meter paved and concrete road. It is believed that the castle was built by the King of the Pontus of Farnakes I in the 2nd century BC. The remainders of the city wall and the palace are still standing. Carved stone caves and temple ruins are scattered throughout the castle. The Giresun Castle may be analysed as internal and external castle sections. The palace ruins exist in the inner castle on the hill dominating the city. Aristotle, in his work called “Neofitos” (Giresun City) describes the castle as one that is high-walled, is defensively superior and is hard to be captured. The rampart which begins from the southwest, enclosing the city, stretches to the northeast. A section of the walls built of great rough stones has been restored by the Ministry of Culture. According to the writings of Neofitos, a little horse relief exists on the rocks west of the hill. It is said to be on Saint Ilyos’ grave. It is stated in the Byzantine writing seen on the lower rocks that here was a small church. There are huge cave refuges in the North of the castle. He was born in the Haci Huseyin District on 1884. He was injured on his right kneecap while fighting against the Bulgarians in the Balkan War on the Catalca front. He received treatment in the Sisli Etfal Hospital. He stopped Enver Pasha from entering Anatolia in the Independence War. When the bullets of the Giresun Voluntary Legion under his command ran out in the Sakarya War, he attacked the enemy with his daggers. He played a role in the quashing of the Kocgiri Revolt. The grave of Gazi Osman Aga (Lame Osman Aga), who showed great merit and acted as Ataturk’s guard commander in the Independence War, is in the castle. 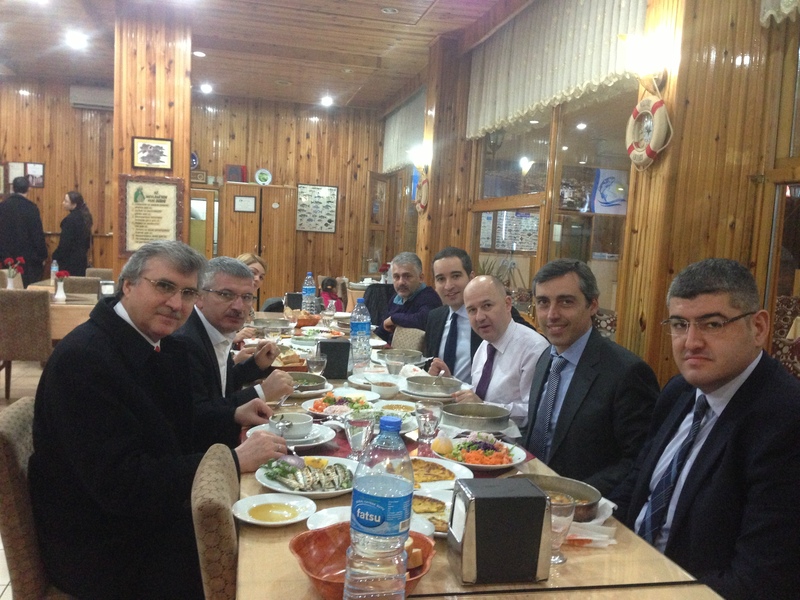 Following our lunch at a nice restaurant in Giresun (Ikram Pide) we moved to Ordu to meet with the President of the Chamber of Commerce. It was a 45-minute drive from Giresun to Ordu. It was a very beneficial meeting, where we learned very crictical statistics about the exportation of hazelnuts from Turkey. This year, for the first time in the region’s history, a Singaporean trade company ordered hazelnuts from the region. 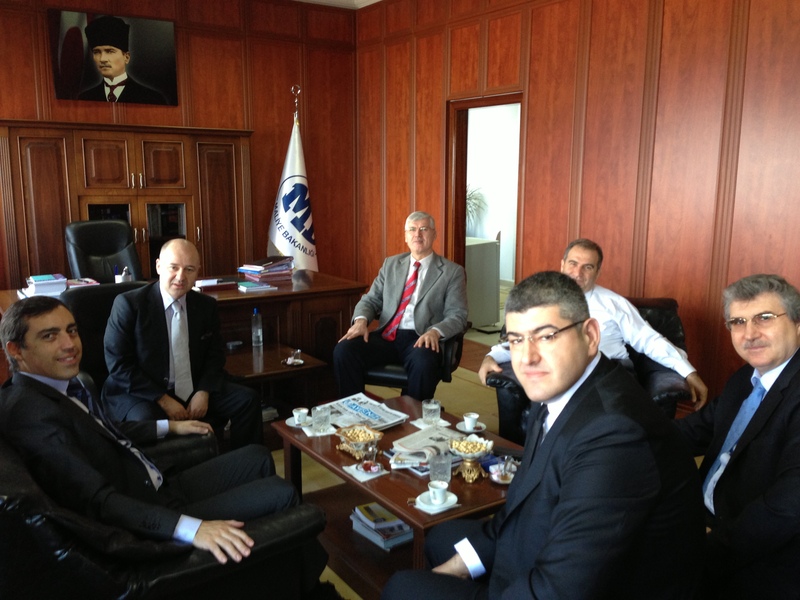 Then we moved to Ordu University, where we met with the Rector of the University and talked about how the EBAN Institute could contribute to the entrepreneurship courses of the university. It was almost evening when we caught the teleferic from downtown and moved up the mountain of Ordu with an excellent view of the Black Sea, looking out as far as Russia. 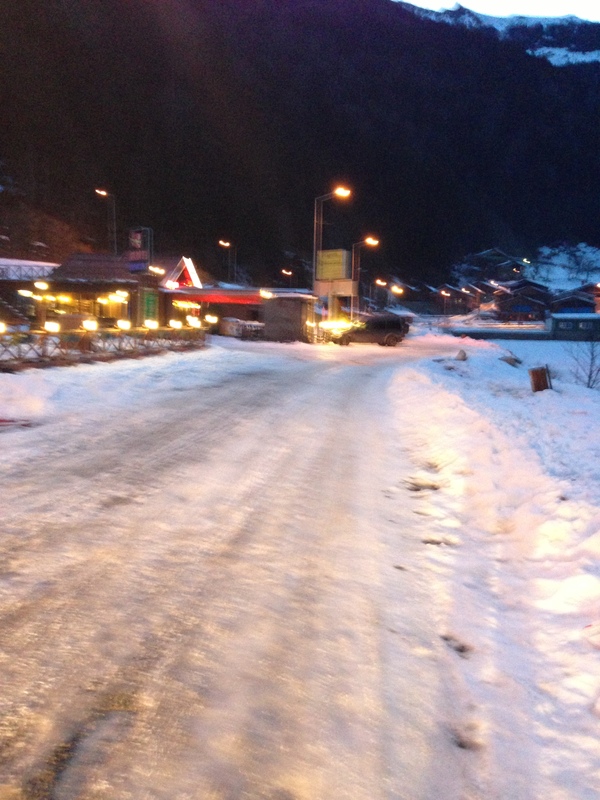 Around 18.00, our driver took us from the teleferic station and moved to Trabzon, where we would be accommodated this night. 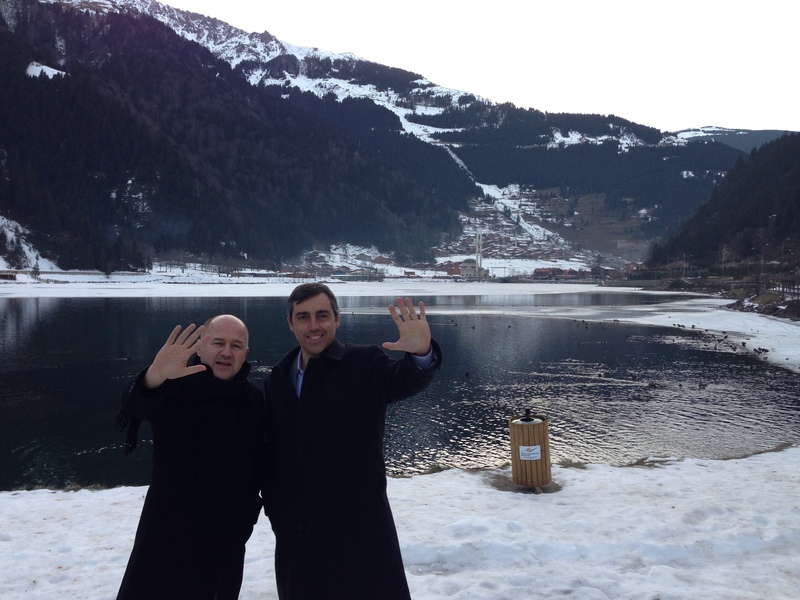 It was a 3-hour drive from Ordu to Trabzon via Giresun. We all said ‘Good-bye Giresun’ while passing through that city. 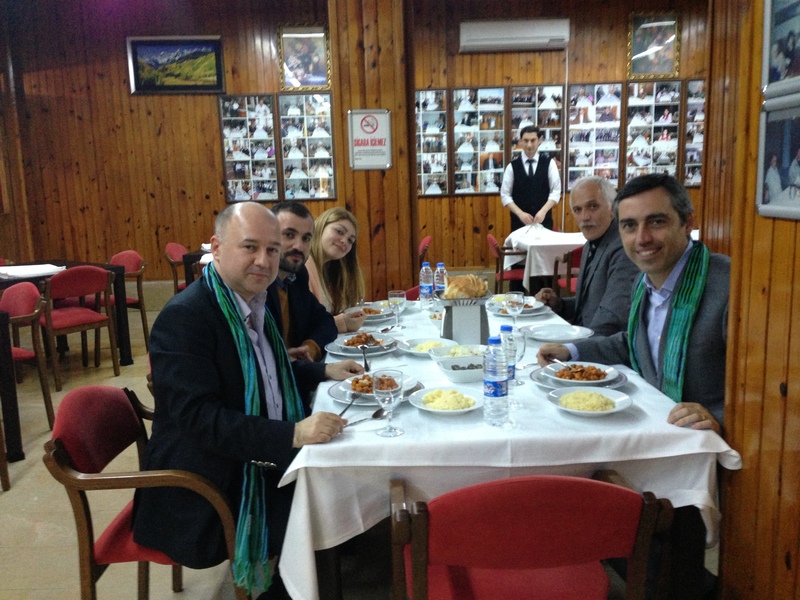 We arrived in Trabzon at 21.00, left our bags in our rooms and moved to the well-known regional meat restaurant in Trabzon (Nihat Usta), just a 30-minute drive. Because the DOKAP President is lecturing once a week at Recep Tayyip Erdogan University, our restaurant was on his way while he was going back to Giresun from Rize that night, so he joined us for an excellent dinner until 23.00 and then went to Giresun while we returned to our very nice hotel on the beach of Trabzon. The next morning we went up to Sumela Monastery in the morning. 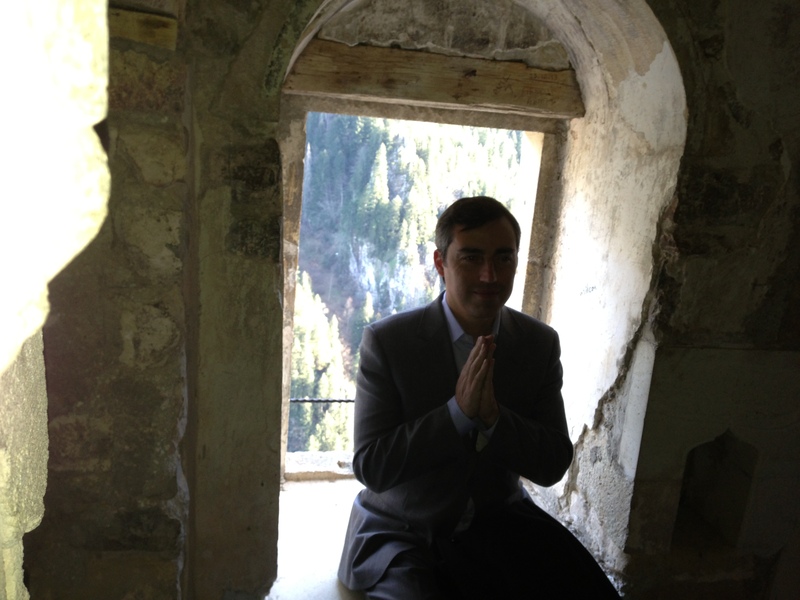 I wanted Paulo to visit this ancient monastery because l am sure he will not find another opportunity in his life to do so. 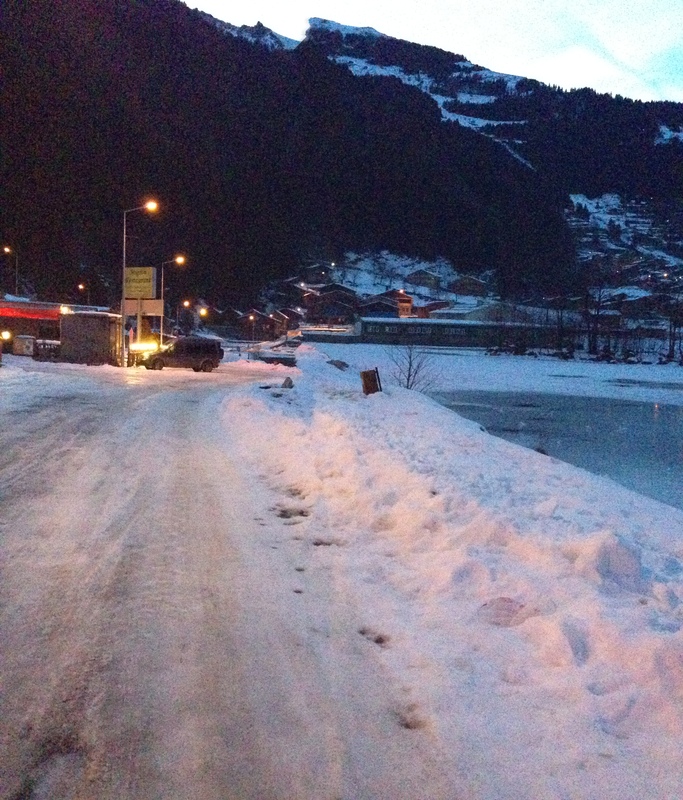 It is a 1.5-hour drive from downtown Trabzon. There was a little snow on the roads but the weather was excellent and very fresh. The Sumela Monastery (Turkish: Sümela Manastırı, Greek: Μονή Παναγίας Σουμελά, Moní Panagías Soumelá) is a Greek Orthodox monasterydedicated to the Virgin Mary (Panagia, meaning “All Holy” in Greek) at Melá Mountain (Turkish: Karadağ, which is a direct translation of the Greek name Ouros Melá, meaning Black Mountain) within the Pontic Mountains (Turkish: Kuzey Anadolu Dağları) range, in the Maçka district of Trabzon in Turkey . Nestled in a steep cliff at an altitude of about 1,200 metres (3,900 ft) facing the Altındere valley, it is a site of great historical and cultural significance, as well as a major tourist attraction within Altindere National Park. The monastery was founded in 386 AD during the reign of the Emperor Theodosius I (375 – 395). Legend has it that two priests undertook its creation after discovering a miraculous icon of the Virgin Mary in a cave on the mountain. During its long history, the monastery fell into ruin several times and was restored by various emperors. During the 6th century, it was restored and enlarged by General Belisarius at the behest of Justinian. It reached its present form in the 13th century after gaining prominence during the reign of Alexios III (1349 – 1390) of the Komnenian Empire of Trebizond, established in 1204. At that time, the monastery was granted an amount annually from imperial funds. During the time of Manuel III, son of Alexius III, and during the reigns of subsequent princes, Sumela gained further wealth from imperial grants. Following the conquest by the Ottoman Sultan Mehmed II in 1461, it was granted the sultan’s protection and given rights and privileges that were renewed by following sultans. The monastery remained a popular destination for monks and travelers through the years. In 1682 and for a few decades, the monastery housed the Phrontisterion of Trapezous, a well-known Greek educational institution of the region. The monastery was seized by the Russian Empire during the 1916-18 occupation of Trabzon. The site was abandoned in 1923, following forced population exchanges between Greece and Turkey. The departing monks were not allowed to take any property with them, so they buried Sumela’s famous icon under the floor of the monastery’s St. Barbara chapel. 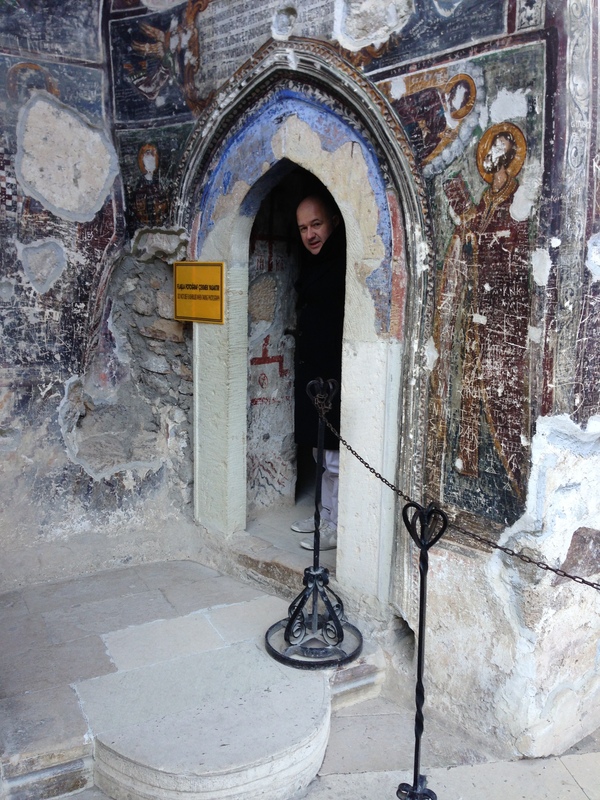 In 1930, a monk secretly returned to Sumela and retrieved the icon, transferring it to the new Panagia Soumela Monastery, on the slopes of Mount Vermion, near the town of Naousa, in Macedonia, Greece. Today the monastery’s primary function is as a tourist attraction. It overlooks forests and streams, making it extremely popular for its aesthetic attraction as well as for its cultural and religious significance. 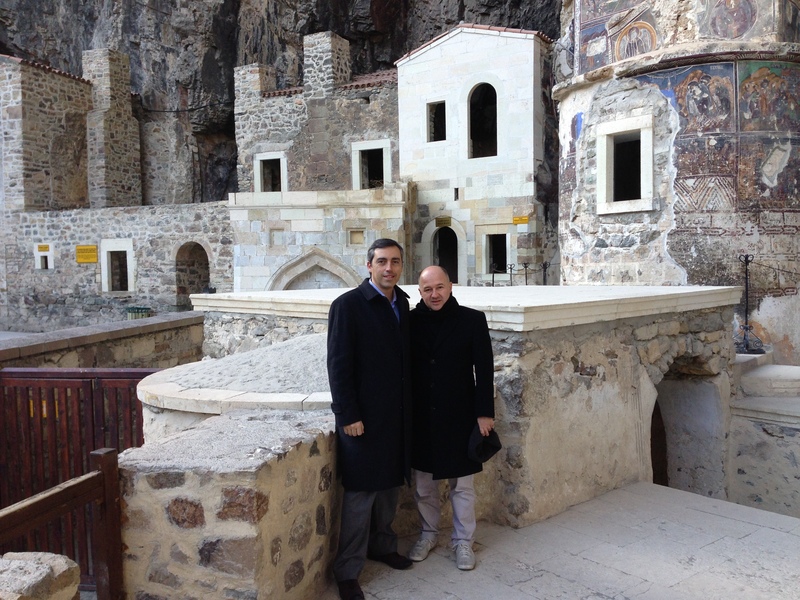 As of 2012, the Turkish government is funding restoration work, and the monastery is enjoying a revival in pilgrimage from Greece and Russia. On 15 August 2010, Orthodox divine liturgy was allowed to take place in the monastery compound. A special pass issued by the Ecumenical Patriarchate of Constantinople is now required to visit on August 15, the day of the Dormition of the Theotokos or Feast of the Assumption, when a divine liturgy is held. Only 450 to 500 visitors are allowed inside the monastery, although widescreen televisions are available to observe the event at a cafe some hundred meters away from the monastery. Uzungöl (English: Long Lake) is a lake situated to the south of the city of Trabzon, in the Çaykara district of Trabzon, Turkey. 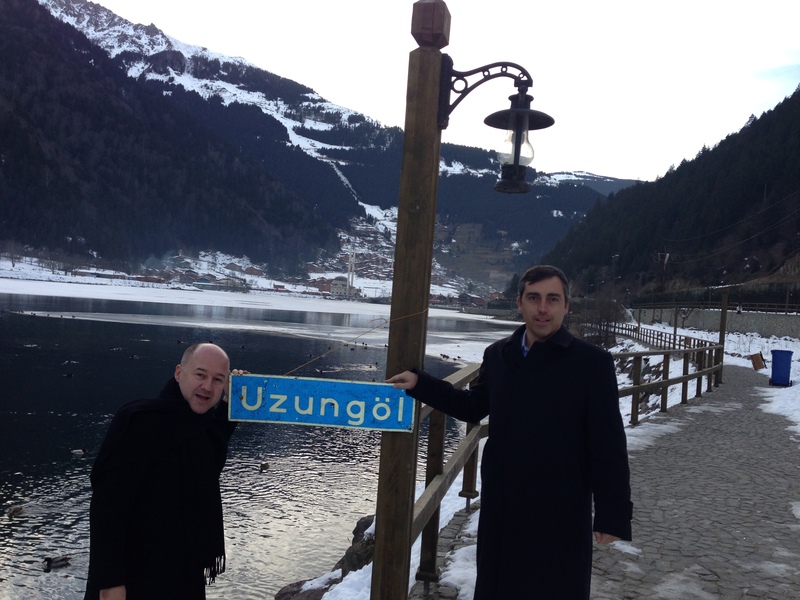 Uzungöl is also the name of the village on the lake’s coast. Over the years, the picturesque lake, its village and the surrounding valley have become popular tourist attractions. The lake is at a distance of 99 km from Trabzon’s city center, and 19 km from Çaykara’s district center. It was formed by a landslide, which transformed the streambed into a natural dam, in the valley of the Haldizen Stream. The area is most famous for its natural beauty. Located in a valley between high rising mountains, the lake and village at first appear inaccessible. The surrounding greenery of the mountain forests and fog, occasionally enveloping the lake at night, also add to the scenery. The tourist boom of the recent years has attracted investors, who opened a number of hotels, restaurants, and souvenir shops in the village. The transport infrastructure has also been greatly improved. In 2008, the government built a concrete barrier along the lake’s shoreline, so that its waves would not wet the coastal roads around it. This has triggered protests by the locals, as well as ecologists concerned with environmental damage, who stated that it has turned the lake into a giant artificial pool. 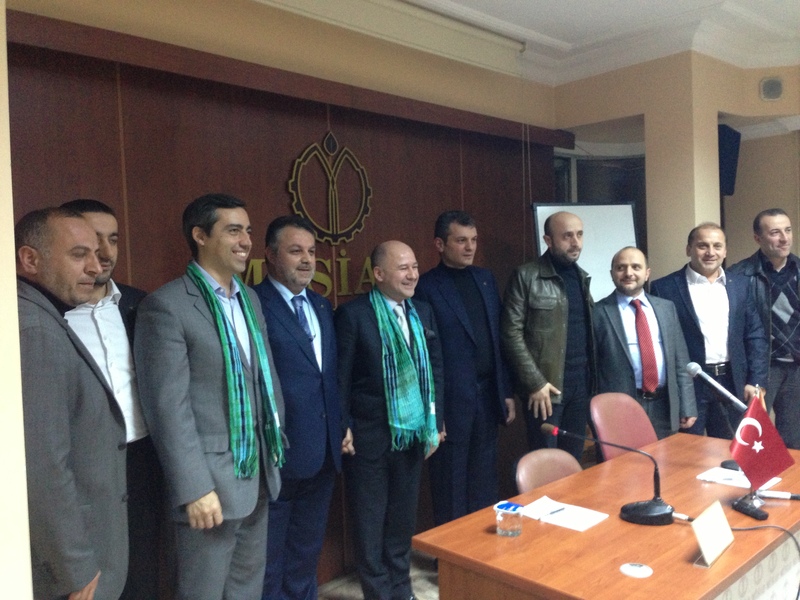 Then we moved to Rize because we were invited by MUSIAD – Association of Independent Businessmen in Rize, for a panel organised for MUSIAD members. There we were given the flags of Rize Spor. Rize is the Switzerland of Turkey, where you can find incredible mountains. Rize is also known as the home of Prime Minister Recep Tayyip Erdogan. 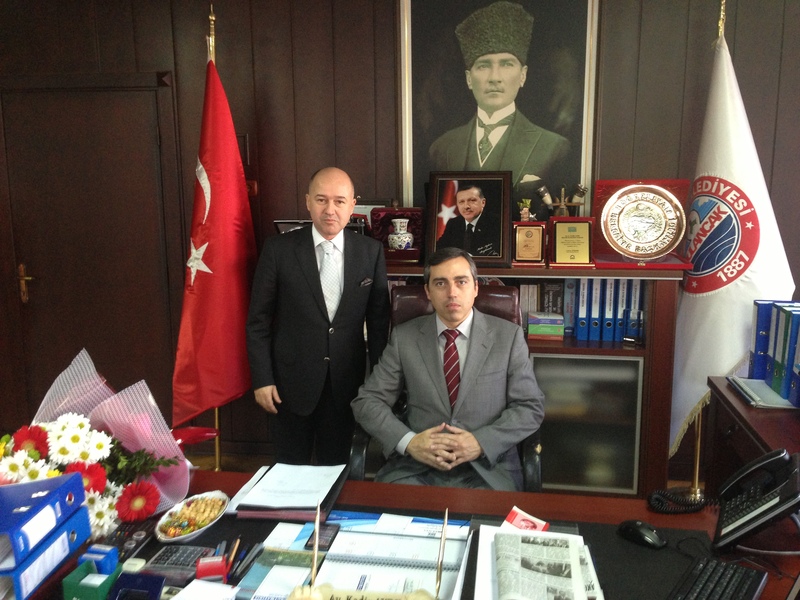 The former Prime Minister Mesut Yilmaz is also from Rize. My representative Abdullah Kilic organised this event where Paulo and I had an opportunity to address local SMEs in Rize and the region. 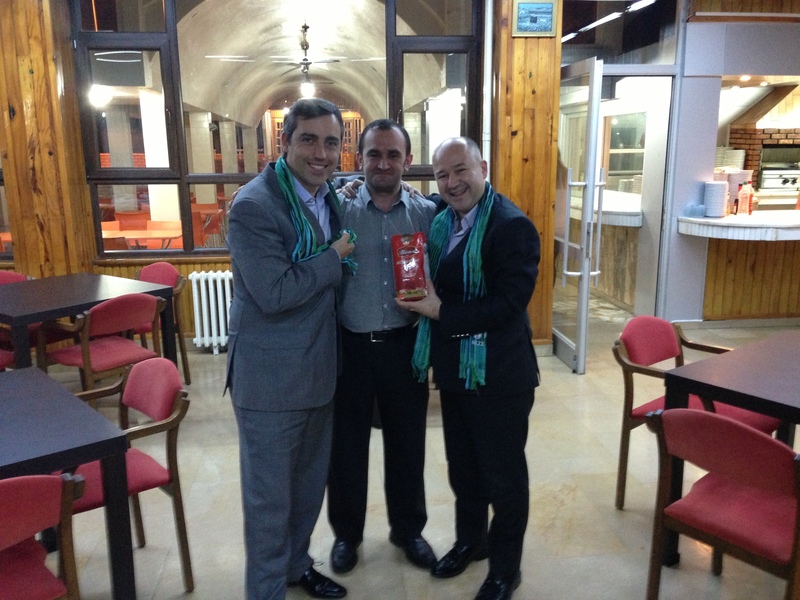 Rize is the tea capital of Turkey and Lipton is buying tea from Rize. 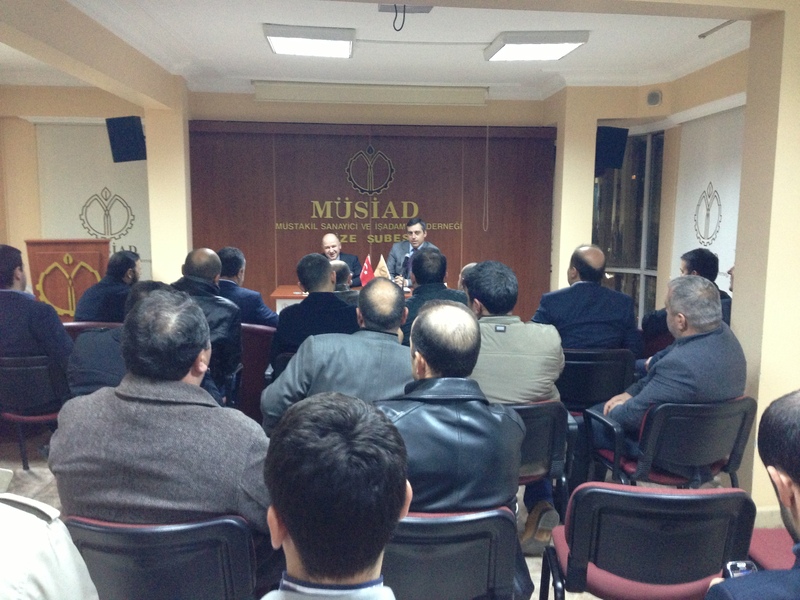 There were approximately 50 members of MUSIAD that participated in the panel debate. Paulo gave a very good introduction to the business angels network and advised moving together while investing in entrepreneurs and start-ups. 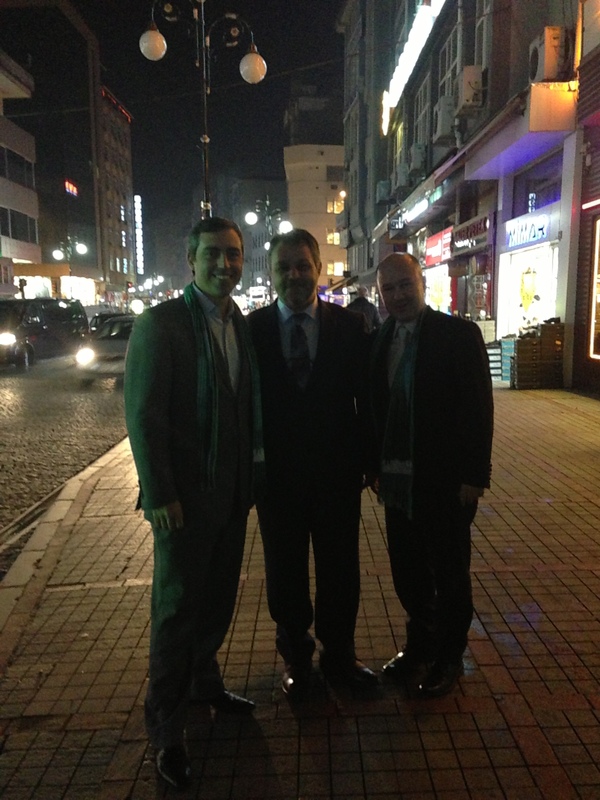 We couldn’t see the streets of Rize in the daylight because it was evening when we arrived in Rize. Following our panel meeting at the MUSIAD Centre, we moved to the nationally-known rice & white bean steam house of Rize, the Husrev. The restaurant normally closes at 19.00, but this time, because Paulo was coming from Lisbon, the owner and staff of the restaurant waited for us. This restaurant is the center of gourmets who visit this region. Photographs of notable visitors are taken by the restaurant owner and displayed on the wall. From celebrities to politicians, from football players to actors. Now it was time to take a photo of the EBAN President. Maybe Paulo will never find an opportunity to re-visit this restaurant, but his photograph will be on the walls of this restaurant and meet with thousands of visitors. 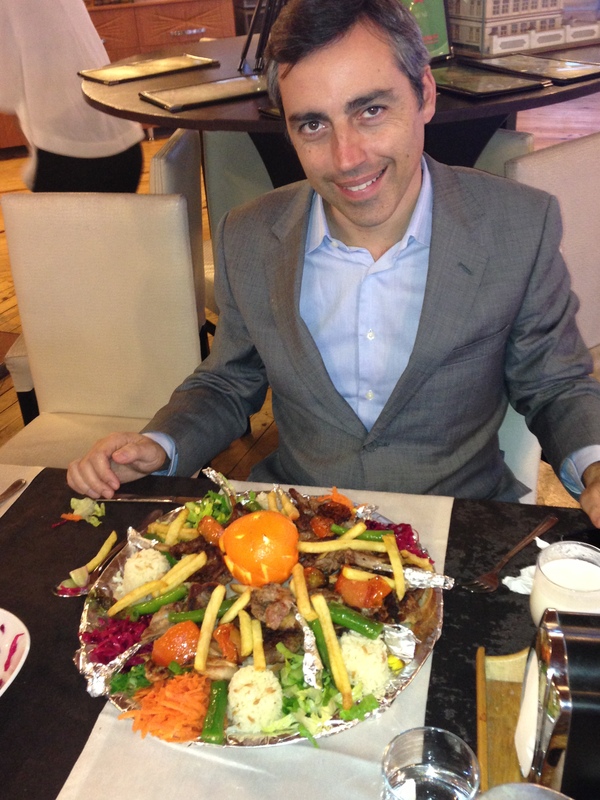 Following our dinner, we moved back to the Novotel in Trabzon. 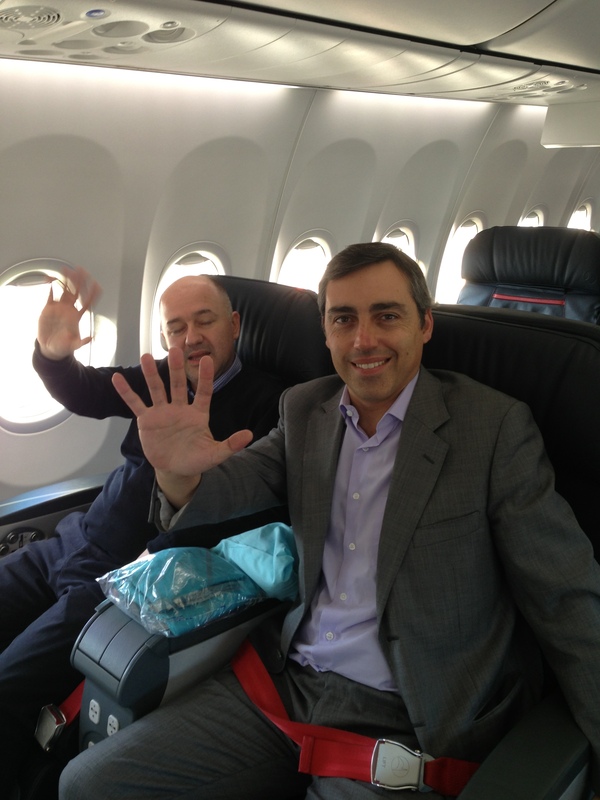 Our flight to Istanbul was around 13.00 on the 10th of January. Whole week was lovely and a very favourable weather was with us. It was January but it was like April. Paulo was very lucky. 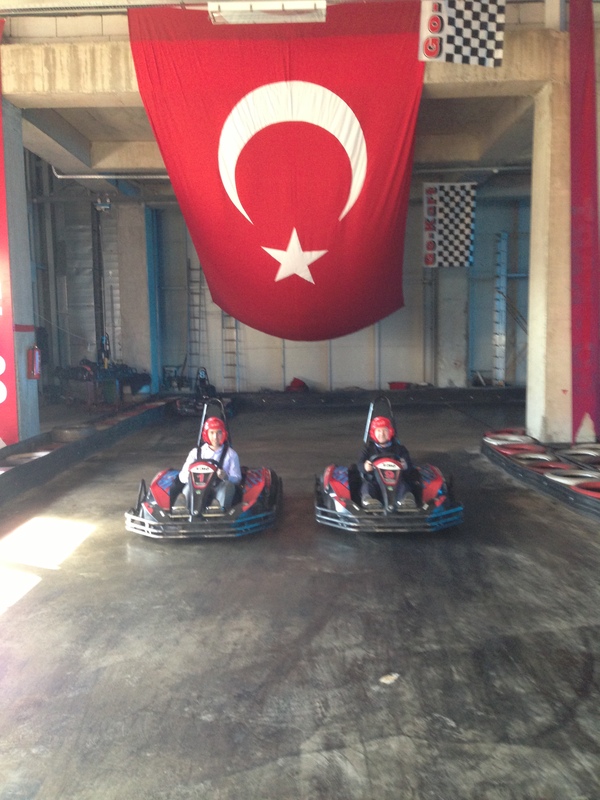 Because the hotel was a few minutes away from the Trabzon airport, we had plenty of time to spend. There was a nice shopping mall in the garden of the hotel and Paulo wanted to go to the shopping mall to have an idea about the local economy. In the mall, we could also find an opportunity to get some presents for the driver of the car who was with us since the beginning of the programme and for Gulcemen Karadeniz, who was the second name that made this programme as real success and she was also with us during whole journey. We gave their presents with a little symbolic ceremony at the hotel. 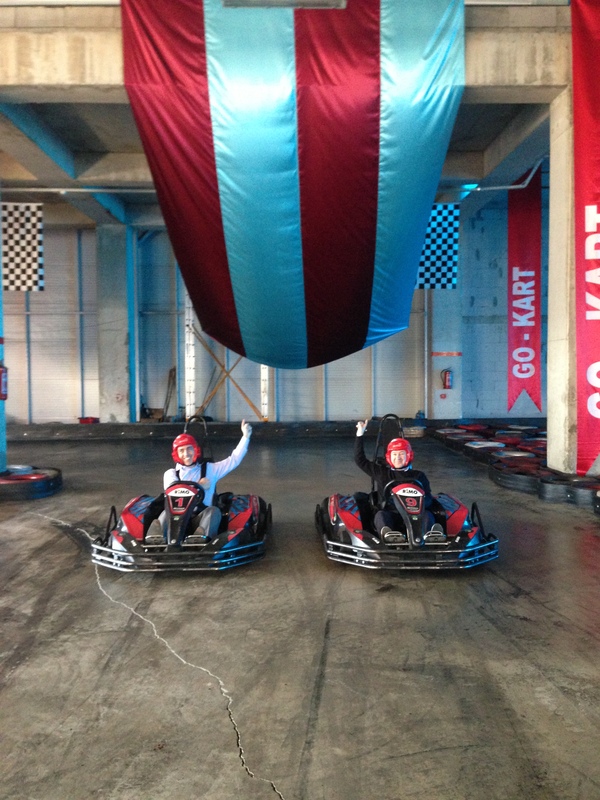 There was a go-kart platform at the 4th floor of the shopping mall where we competed with each other in our cars. Because we were in Trabzon, Trabzon Football Club’s flags were everywhere. So we didn’t miss the opportunity to debate about Portuguese footballers playing with the Turkish football sports clubs. Paulo is an authority on football issues sinces he is from Portugal, where as l am only the audience of football debates. It was time to say good-bye to the Black Sea. We were at the check-in counter of Turkish Airlines and we were very happy we were flying Business Class, which gave us 10 more kilos to carry free of charge. Both of us had at least 20 kilos of hazelnuts, hazelnut chocalates, tea, presents and so on, which would have created an excess baggage problem. We arrived at the Istanbul airport in the afternoon. Paulo would stay one more night in Istanbul to meet with his friend from Portugal and l had to fly to Adana to move to my summer house in Mersin. So, everybody went on his way after arriving in Istanbul. The next day, Paulo sent me a message from Lisbon: ‘Baybars, could you please go to Istanbul airport and look for if my hazelnuts are still there?’ Unfortunately Turkish Airlines had left his baggage in Istanbul. I think it was the next day that he received his baggage, which was not good for him because he had to fly to Brussels on the same day. However, it was a wonderful organisation and we were very happy to touch every unit of the Black Sea Region’s entrepreneurship ecosystem. There were about 100 news reports in the regional media about our visit to the region.